Want proof that FNX, Chris Rivers, and SeeS can OUT RAP anyone…simply click play. 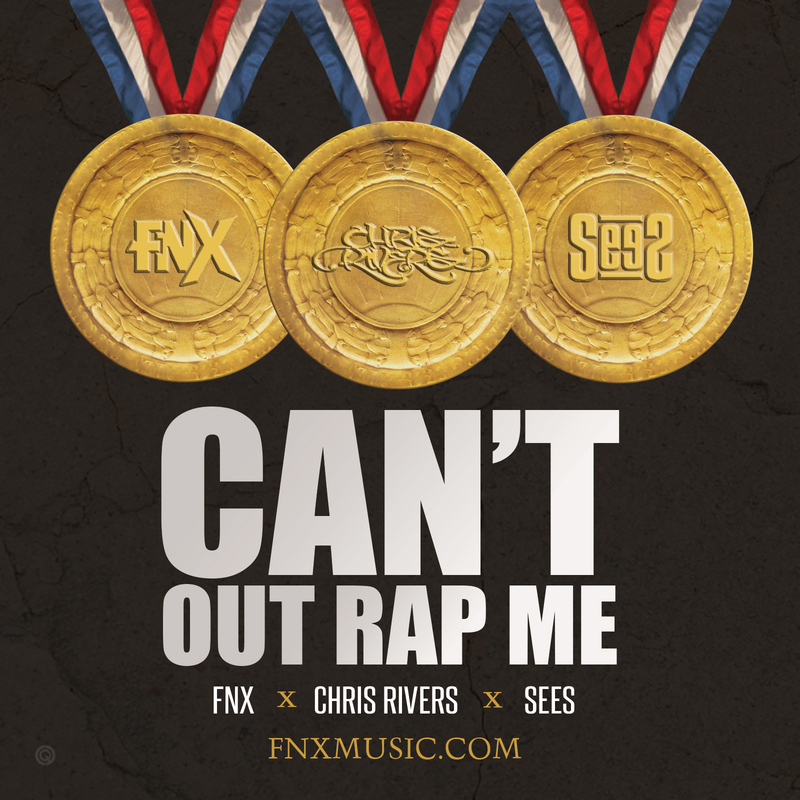 I was honored when FNX asked me to join him and Big Pun’s Son, Chris Rivers, on one of his latest tracks “Cant Out Rap Me”. This song is a lyrical test at its best, packed with bars and metaphors. Everyone approached this song determined to give their best verse possible. You be the judge. 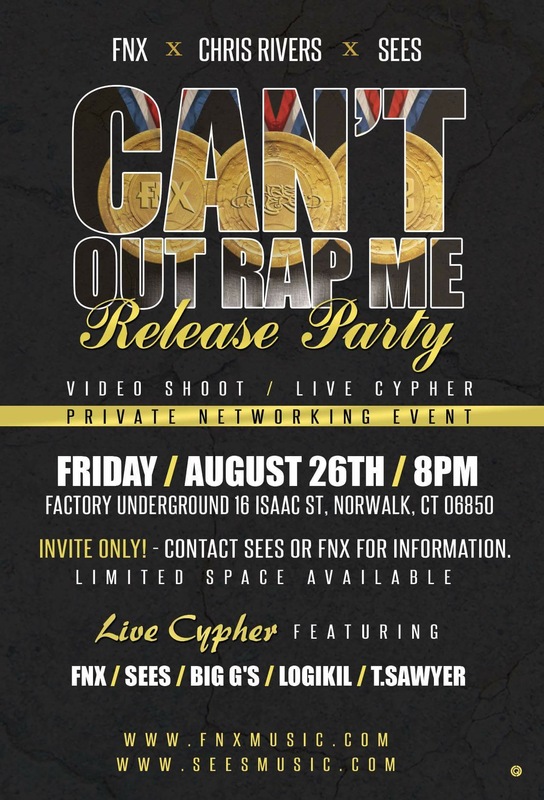 On August 26th there is a private release party / live cypher / networking event to thank everyone supporting the movement and acknowledge radio, publicity, and those helping promote this record. There is limited space, but please reach out to me if you believe you belong there and we will do what we can to accommodate you. Check out more FNX @ http://www.FNXMUSIC.com! !